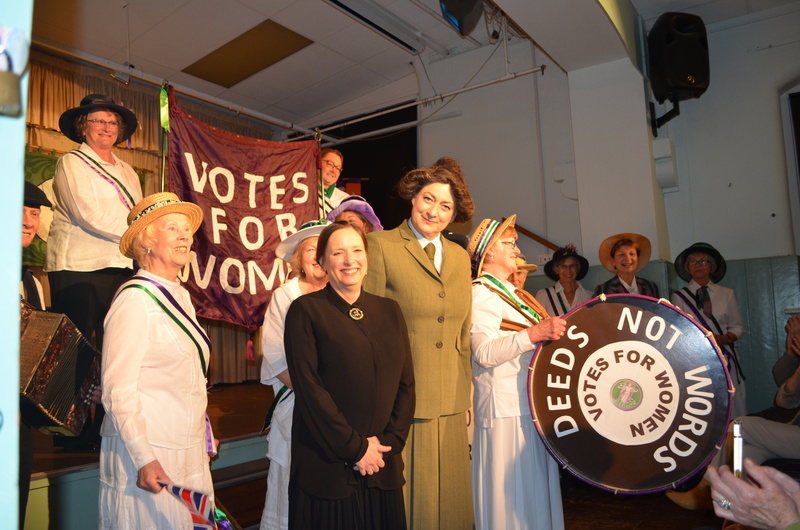 Lucy Stevens and Elizabeth Marcus gave us an evening to remember on Sunday 29th April. 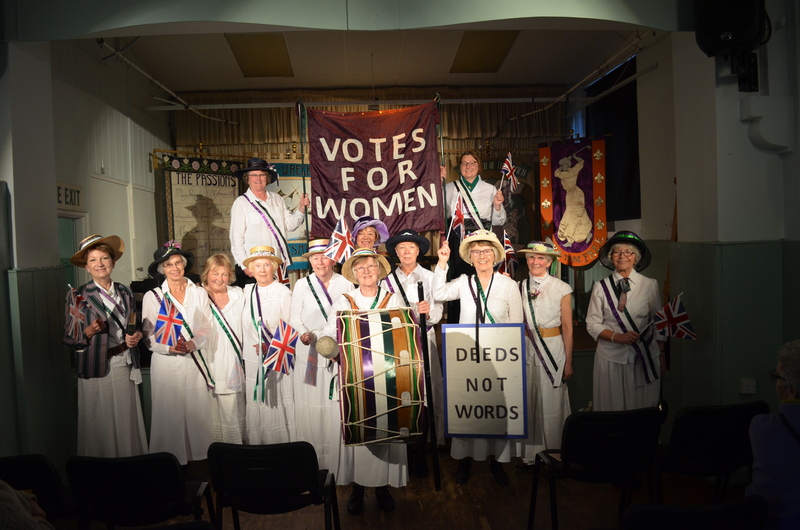 Members of Alnmouth and Lesbury WIs joined forces on Sunday 29th April to form part of the show “Grasp the Nettle” at Lesbury Village Hall. 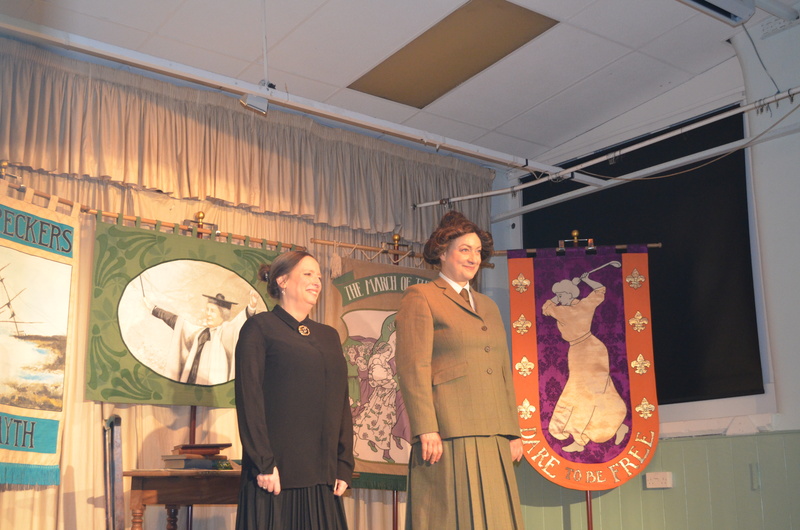 The play was about Ethel Smyth the suffragette composer who was imprisoned with Mrs Pankhurst. 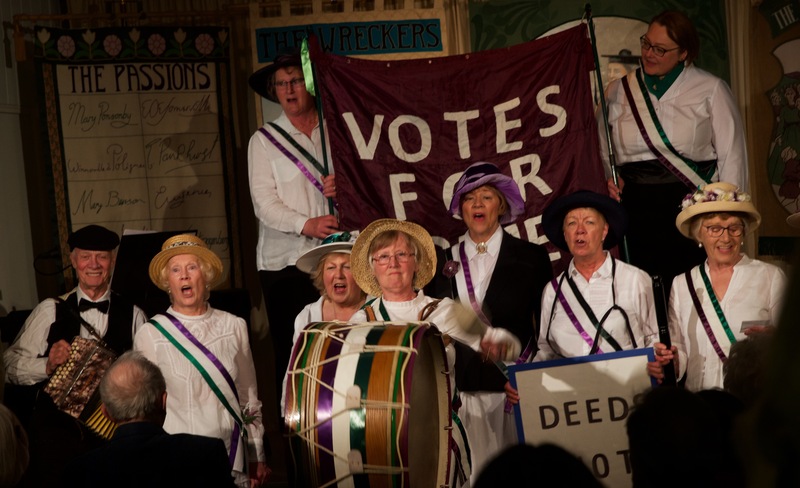 Dressed in suffragette sashes, hats and costumes the ladies formed a procession behind banner holders, bass drum and melodeon and proceeded to raise the roof with their spirited rendition of “March of the Women”. 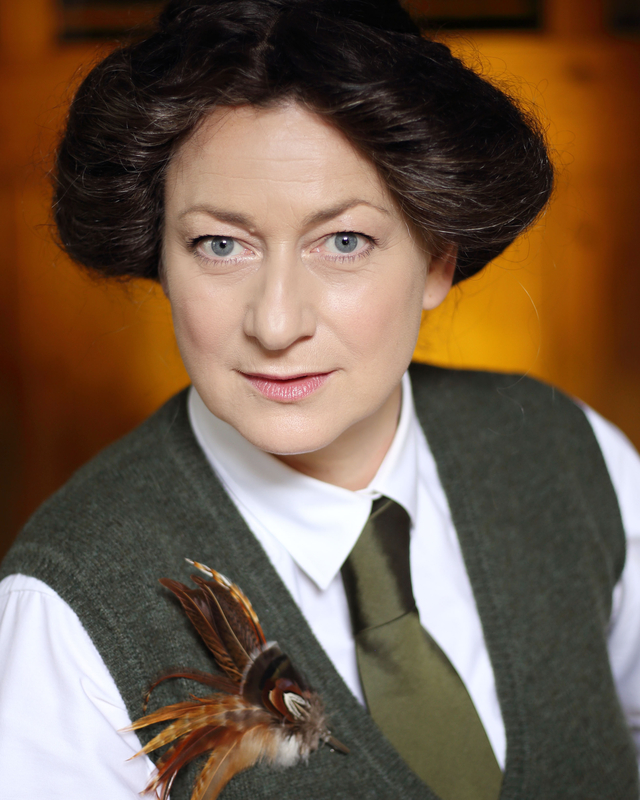 This was Ethel Smyth’s best known composition and actors Lucy Stevens and Elizabeth Marcus were delighted to embrace the WI’s involvement. 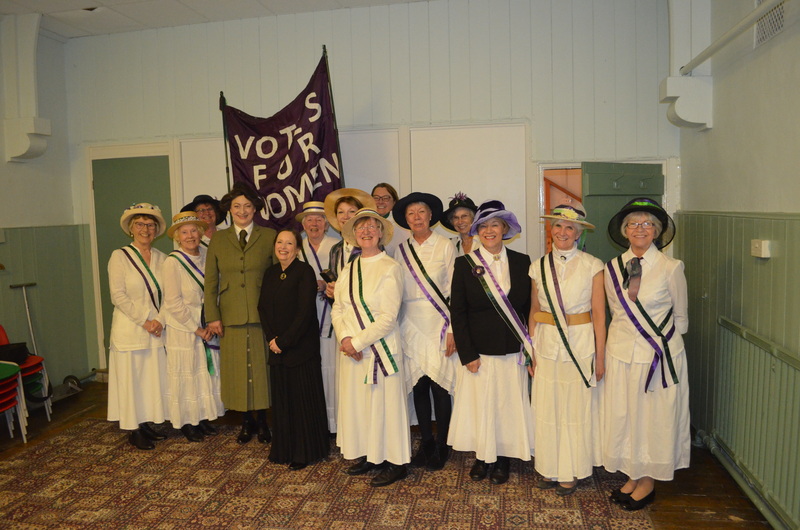 Our thanks go to all the ladies who turned out to support their sisters at this event. Thanks to Mick McMahon and Tom Allen for the photos.